Members of the GEL team recently traveled to beautiful Montreal, Canada for the World Congress on Ultrasound in Medical Education 2017. Amidst the great speakers, great friends, and wonderful education - we picked out a few interesting research abstracts that we thought would be interesting to discuss. Ultrasound is used in cardiac arrest frequently. We know that it can provide some prognostic information regarding a patient's chance of survival. But before we go calling everybody dead based on our ultrasounds, we should make sure everyone agrees what constitutes "no cardiac activity". 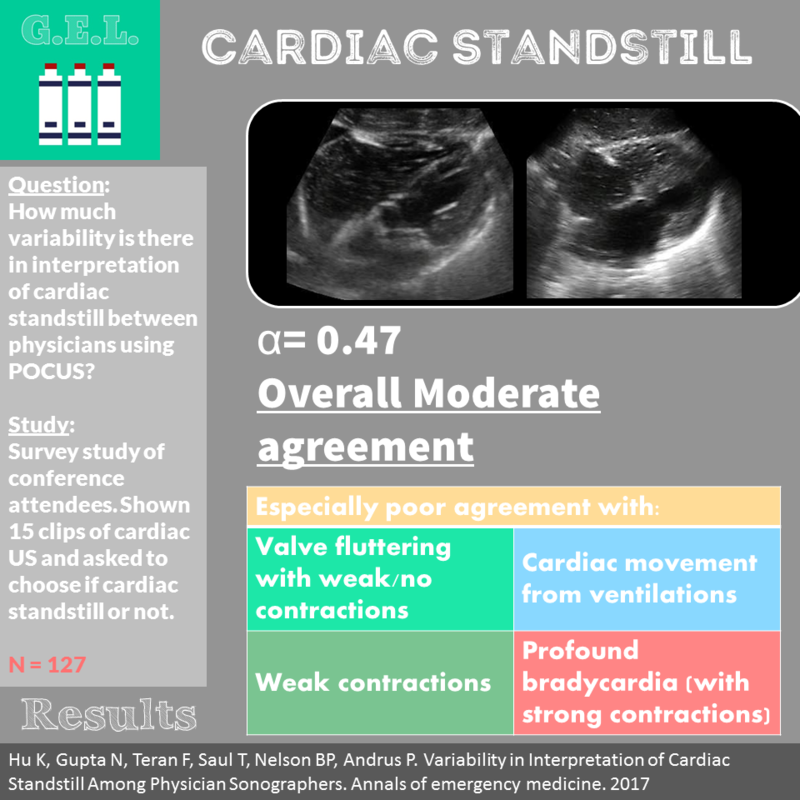 This articles takes a look to see the level of agreement among a group of physicians classifying point of care cardiac ultrasound clips as cardiac standstill or not. Have you ever stabbed into an abscess only to have nothing come out? 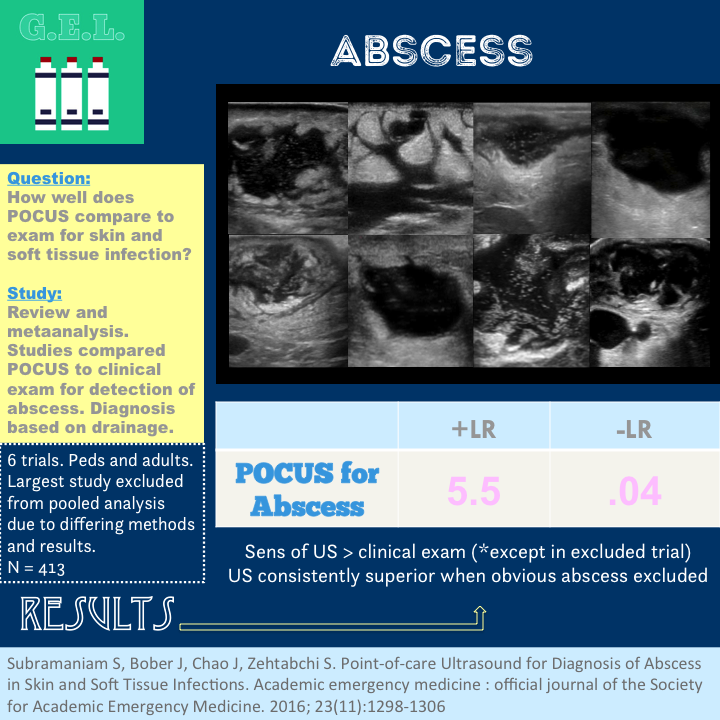 Have you missed an abscess because you thought it was just cellulitis? In theory, ultrasound should be able to help us here by finding that magical pocket beneath the skin that is just asking to be drained. Does the literature support this? 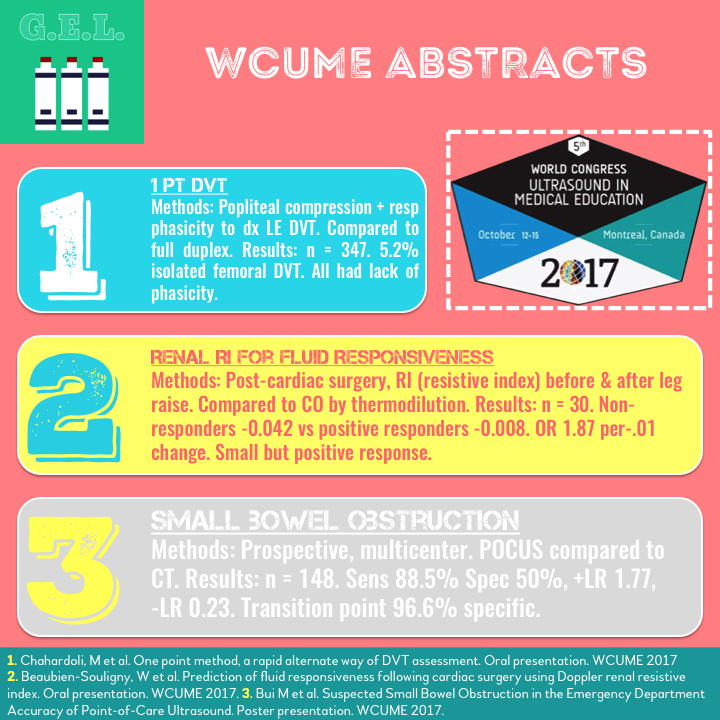 Is ultrasound superior to the exam alone? This metaanalysis takes a look at the studies that have been done to find out.